The comfort is the same as that of the major manufacturers, and I think that the price may be cheap. However, I would like you to indicate that both the individual packaging and the box have been sterilized. This review is about item#35508611. This review is about item#35508584. Cospa is also good and there is no problem with quality. I repeat several times, but I can recommend it. It is the second purchase this time but it is a very easy-to-use item just like the first time. From now on I would like to buy this product. I use it in experiments of hydraulic pressure and pneumatic pressure in combination with silicon tube. It is very convenient to indicate the compressibility of air to elementary and junior high school students. 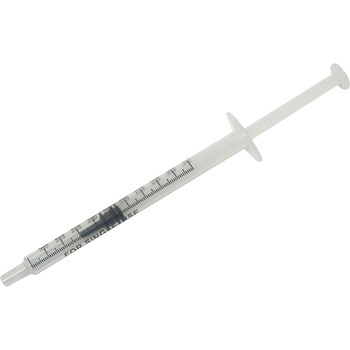 You can pull the syringe very smoothly and push it. Because it is a very affordable product, it is handy. This review is about item#35508593. I used it to infuse the cat. I am a man, but I need considerable strength to infuse. It is not unusual for your fingers to cramp. There are individual differences. Although it is a bit expensive, I made it to Terumo from next time. It's pretty easy. This review is about item#35508636. The guy who got at the animal hospital got useless in two or three days, but the man who bought here lasted long. If there are as many as 100, I think that there is no loss by buying disposable fish. It never leaks nor is it too hard, there is no problem at all. Because it is cheap, I will repeat it. This review is about item#35508627.